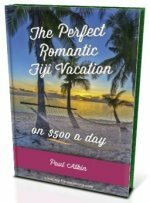 Want the perfect Fiji honeymoon getaway? 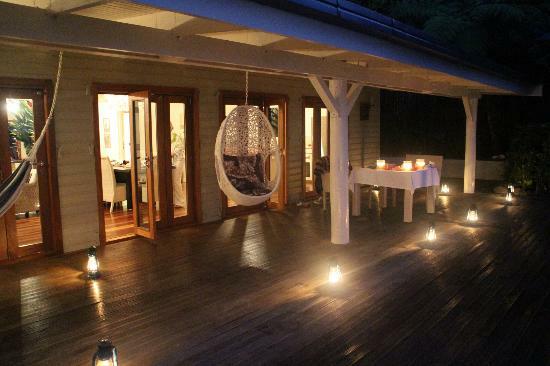 Discover the perfect beachfront spot an acre of paradise just for you and your significant other at Taveuni Palms Fiji. 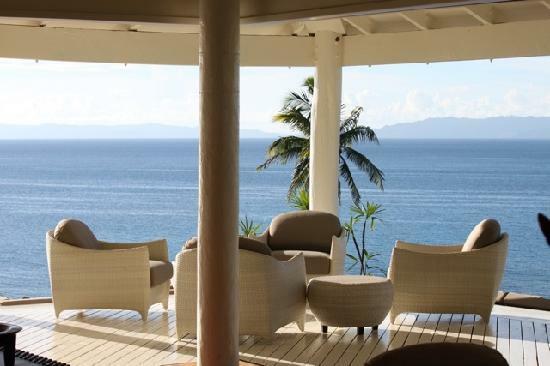 - Who does Taveuni Palms Resort suit? Who does Taveuni Palms Resort suit? It suits romancing couples and families wanting an exclusive luxurious private remote beachfront getaway. 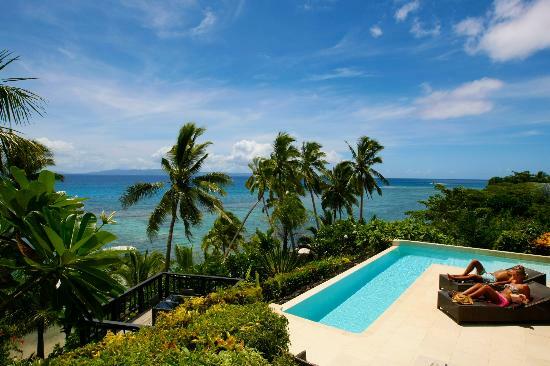 Taveuni Palms Fiji is located on the fourth biggest island of Taveuni. 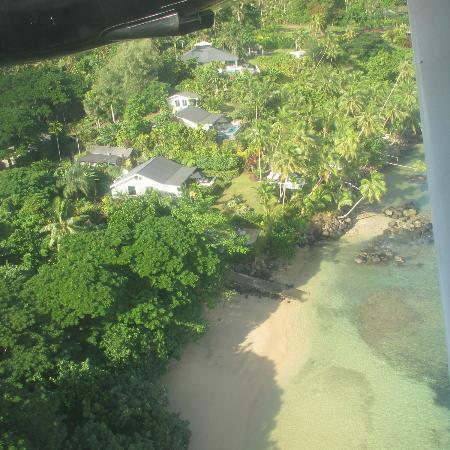 On Taveuni it's situated on the northern coast just 5 minutes from Matei Airport. Firstly, you need an international flight to Nadi International Airport. 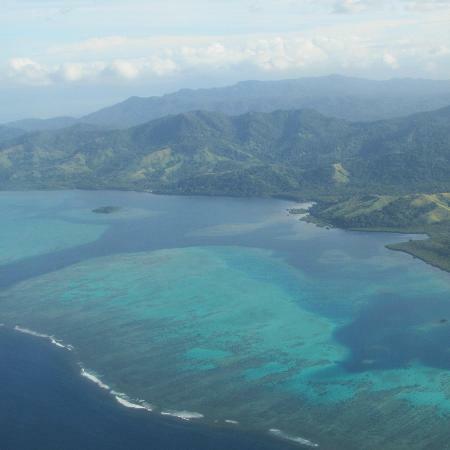 Next you need to organise a domestic flight to the island of Taveuni. Taveuni Palms Resort staff will welcome you at the airport then guide you to the resort with a 5-minute drive. Taveuni Palms Resort is a luxury getaway that's pretty hard to beat. And I don't say that lightly. There are just 3 stunningly luxurious villas each on it's own acre with The Grand Villa on 3 acres with 270° views. Each sleeps 4 and comes with your own private staff of 7 including a chef. 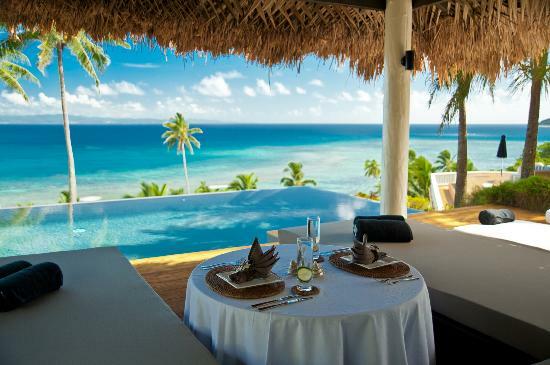 Each of the three villas comes with a personal chef, and each villa has 5 special locations to which to have your meal. Prior to arrival you fill out a form outlining your likes and dislikes. And in turn your chef will design a personalised 5-star grourmet menu serving homemade meals using organic ingredients, most of which, are grown on site. Taveuni Palms Fiji takes advantage of Taveuni Island's natural wonders on land and under water to provide you with sights and activities. The two standard villas are US$1,295 + 20% tax per night for 2 people up until 31 March 2013. After which, it's US$1,500 + 20% tax until 31 March 2014. The Grand Villa is US$1,995 + 20% tax per night for 2 people up unitl 31 March 2013. Again after which, it's US$2,500 + 20% until 31 March 2014.